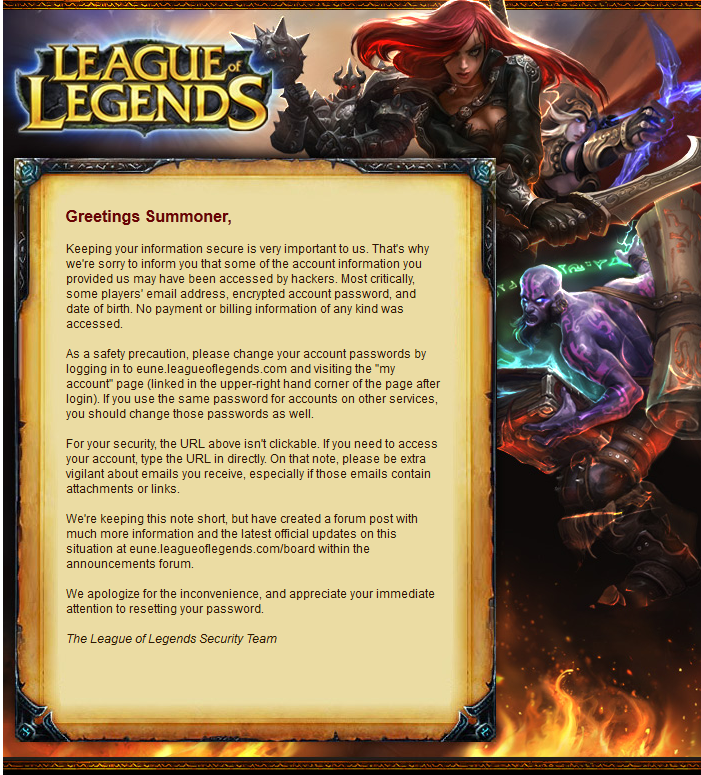 League of Legends has been hacked, “change your password immediately” says the founder of Riot Games Marc Merrill. According to the Riot, they got email addresses, encrypted passwords for accounts and some player’s full name and encrypted safety questions + answers. Even if the passwords are encrypted Riot says that over half of the passwords are simple enough to be retrieved. You can change your password on Riot’s website, by pressing the “change password” button. If you use the same password on other sites, it may be a wise idea to change there too. Next: A Functioning Linux Computer from a Printers Wifi Card!